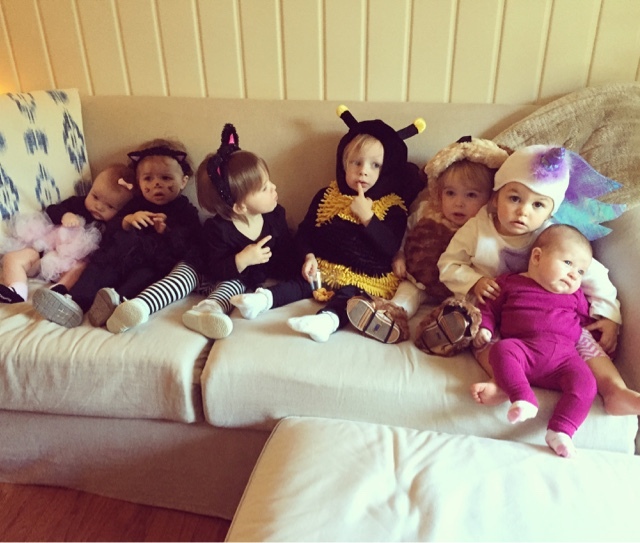 I think this Halloween was our "sweet spot", costume-wise ... last year, Camille was just five months old and pretty much stayed in her stroller the whole time in her Dorothy costume, and next year she will probably veto her costume at the very last minute and throw all of my type-A planning into a tailspin. But this year ... it was GLORIOUS! 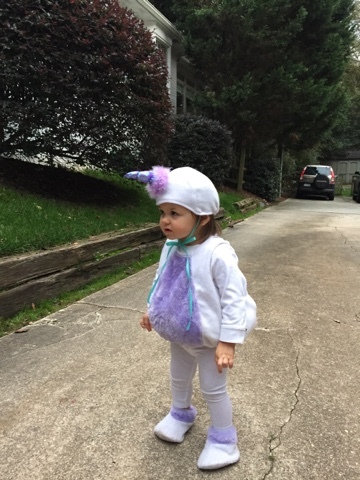 We had a sweet unicorn on our hands who was very happy prancing around in costume! Friday we had a small playdate at our home, and the kiddos came in costume. It was so fun seeing them all together. The mamas had a few separate snacks, but I went simple with the kids' snacks (it was over lunchtime ... 11-1) and we had PB&J squares, cups of Goldfish, and fruit squeeze pouches. Friday evening we joined some neighbors for a Halloween festival complete with a scary house, a jump house (sadly we had to skip, we didn't stay long enough for it to clear out of older kids for some toddler jump time) and snacks. Oh, and of course, some great neighbor time! And we donned the outfit once again (this time, I pulled out the spare knight chestplate and shield I have had for years in our Halloween costume box) and we walked around with some friends. 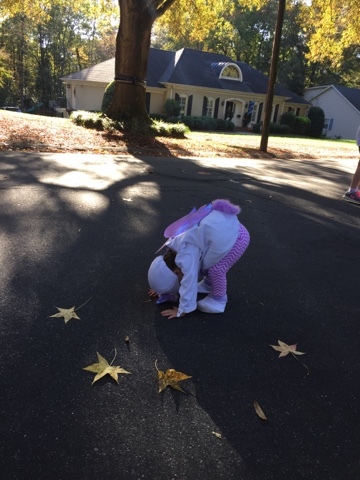 Camille went up to one house where the owners were sitting outdoors, and she got a non-candy treat, a Halloween pinwheel. It was PERFECT because I didn't want her to get a massive candy bar that I didn't really want her to eat! But she was pretty excited about the pinwheel, so that was cute. The rest of the time, we just let the older kids go up to the homes and Camille stayed with us. 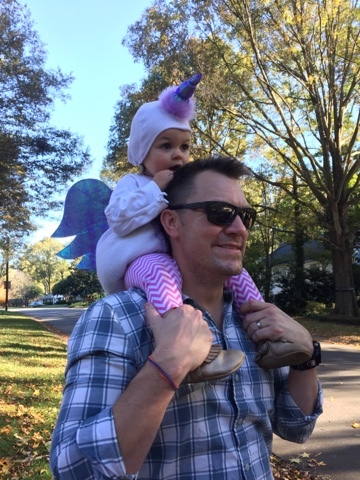 I wanted her to see what trick-or-treating was all about, but no need to load her down with candy just yet. I mean, we all know who would end up eating it, and I've definitely had my fill this season! 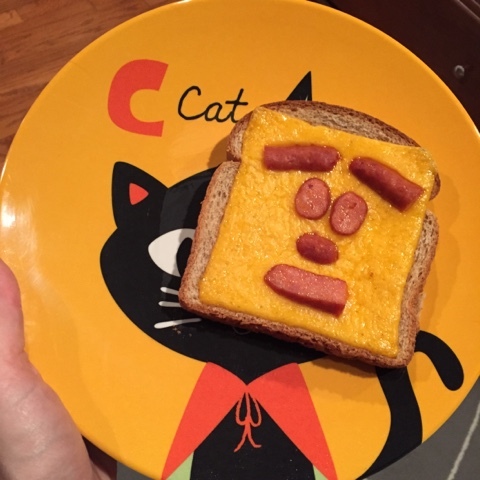 For dinner, I made the very simple yet traditional Halloween dinner that my mom used to make me and my sisters: cheese toast with a sausage face. 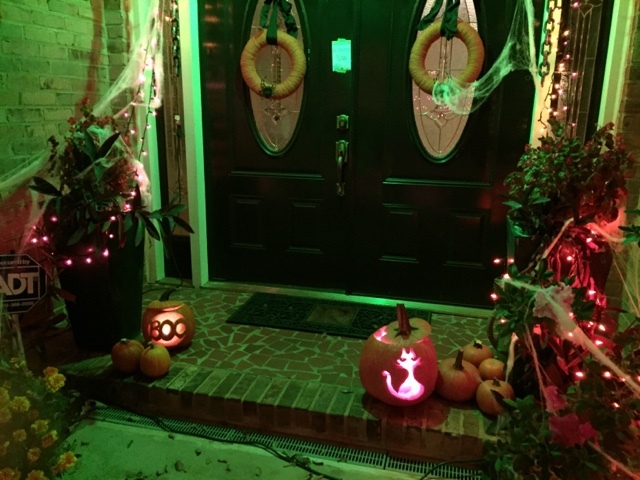 It was fun getting the house all readied for the few trick-or-treaters we had after returning home! 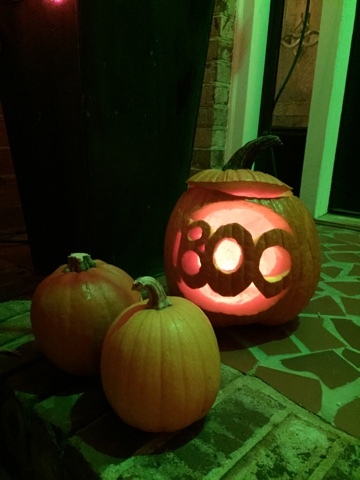 I hope you all had a wonderful Halloween! Now, make way for Thanksgiving ... and hallelujah for the wonderful combination of maternity leggings and holiday eating! Camille looks darling! 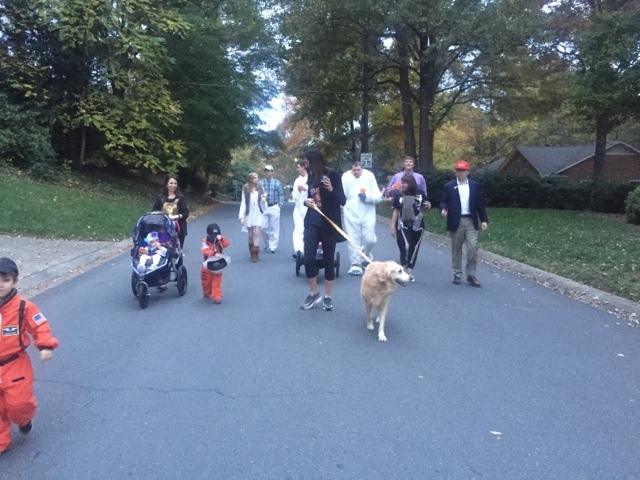 What a great Halloween! Camille is such a cutie! 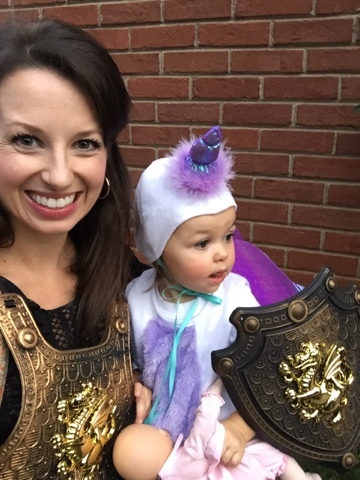 I love her unicorn costume! 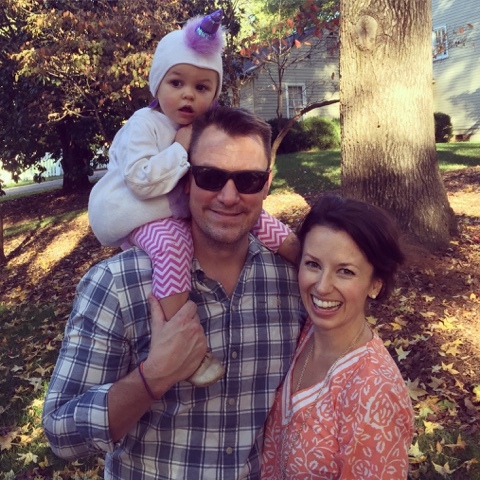 your little unicorn is adorable! Such a cute unicorn costume!!! This only ties into the very last sentence of your post but any recommendations on maternity leggings? I am pregnant with Baby #1 and am looking for recommendations to get me through the winter! Thanks! 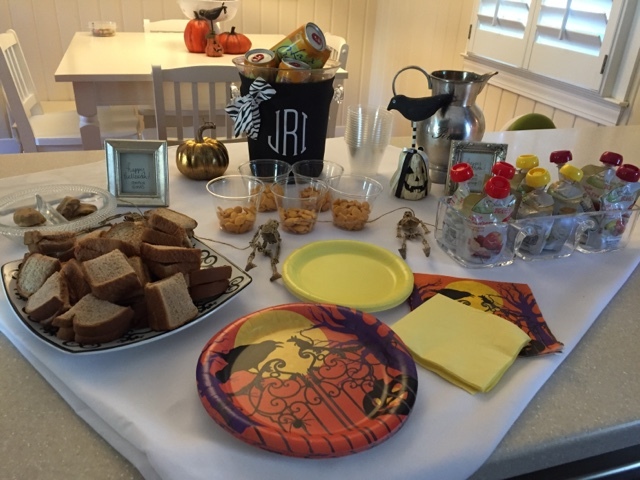 Love the Halloween cheese toast, those are the little things that really stick with you, right?! YES! This is exactly what I said the best part of this year was- that she could care less about the candy! hah ANd the costume was easy breezy this year- all just perfect! Think we'll be so lucky next year?? ; ) That unicorn costume is fantastic! 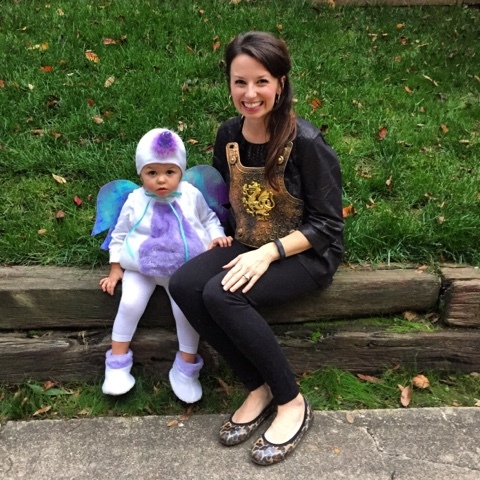 I love her little unicorn 'hoofs' in that costume! And y'alls doorway decor looks great. Perfectly inviting and festive!